As an avid reader, I noticed that in the acknowledgments, authors almost always thanked their long-suffering family members. I routinely wrote articles and blogged, so I really wondered just how bad could it be? Now I know. I had great hopes that I could juggle studio work while finishing the upcoming horse color book, and still continue to post to the blog. Obviously that has not been happening! Over the last few months, my world has narrowed down to just the one thing: the book. I do not multitask well at all because I tend to lose myself in whatever project is in front of me, but I must admit that preparing a book has taken that obsessive focus to a new level. I am fortunate that those around me have been very patient with my partial presence; some part of me is always working on the book. I am getting closer to completion, although I suspect that what looks like the end is just the beginning as I begin to deal with the actual publication. Towards that end, I have begun assembling the necessary photographs and illustrations. 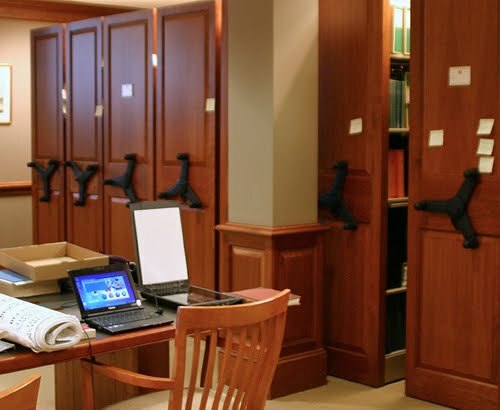 Just a few weeks ago, I made a trip to the National Sporting Library in Virginia in hopes of securing better digitized images from some old stud books. It was one of the few equine libraries I had not yet seen, so I was excited about the prospect. 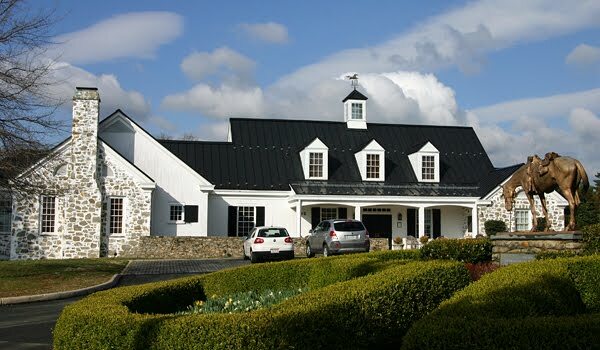 The building, pictured above, is in the style of an old coach house, and contains over 17,000 volumes dating as far back as the 16th century. I went with some specific goals, so I only had the chance to skim the surface of what was available there. 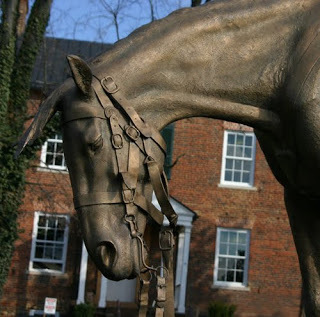 Civil War Horse, bronze by Tessa Pullan (1996). 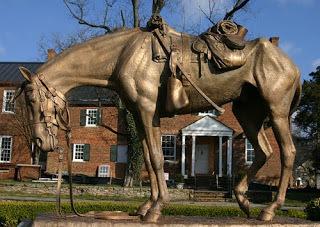 The sculpture, which stands just a short way from the spot where the Battle of Middleburg (part of the Gettysburg Campaign) was fought, commemorates the more than 1.5 million horses and mules that died in the Civil War. There were restrictions on taking photos in the upper levels of the library due to some of the artwork on loan, which was a shame. 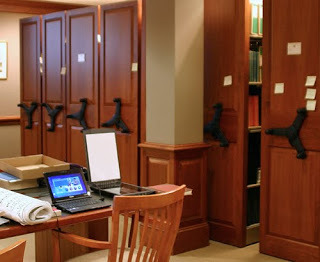 The interior is lovely, and gives the impression that you are visiting the personal library of some nineteenth-century Virginia gentleman. I intended to get better copies of images that I already had, but I made a few finds while I was there. One of the best was a handful of images of the famed, but sadly extinct, Hanoverian Creams. 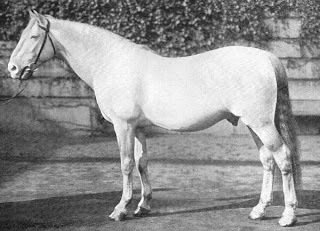 This one came from a 1909 book on horse breeds. There is a great deal of mystery surrounding the actual color of the Creams, so finding a handful of images was an unexpected bonus. So progress continues on the book, albeit slower than I would like. I had hoped to have copies in time for the Bring Out Your Chinas Convention, but I have other projects that have to be done for that event (including the presentation there) that are going to require that I set the book aside for a bit, so I suspect that is not going to happen. My next big make-or-break deadline will be BreyerFest. I am much more optimistic about making that one. In the meantime, I fear this blog may still be more sporadic than usual. I have gone ahead and set up the blog for the book, but it is only a placeholder at this point. It should go live once the book is well and truly off to the printers. That’s also when I should return to the studio, and pictures of shiny ponies will once again appear here. One of my mare’s barn buddies, Abby, showing the varnish roan coloring associated with the Leopard Complex gene. 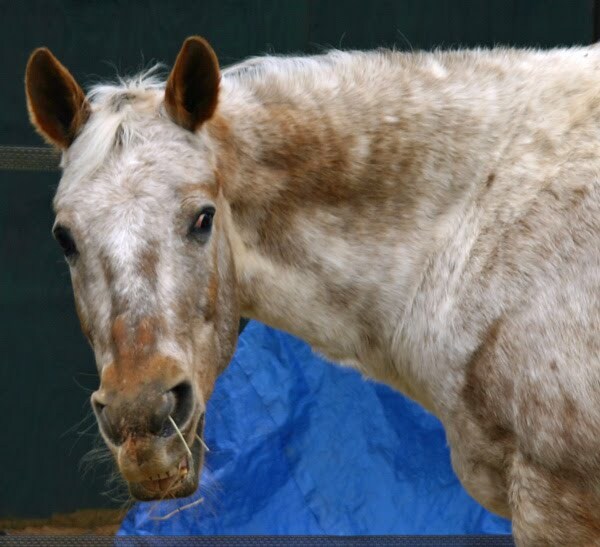 The Appaloosa Project, a research group devoted to unlocking the mysteries behind appaloosa patterning in horses, announced today that they had isolated several of changes in the genetic code that correlate with the “leopard complex” gene. Leopard complex is the name given to the gene responsible for the color horseman call varnish roan. It’s important because it is thought to be the master switch that sets the stage for the other appaloosa patterns (blankets and leopards). This discovery is important because it means that tests can be offered to determine if a horse has the gene. Since varnish roan is not always visible at birth (especially when none of the patterning genes are present), being able to test for it will be a great boon to breeders of appaloosas. This is exciting news for those of us that follow equine coat color research. 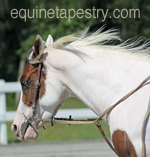 This is the first step towards a better understanding of the whole picture when it comes to appaloosa patterns. It is likely that research in this area will shed light on how the other complex, multi-gene patterns (like sabino) work. Kudos to the team of scientists at The Appaloosa Project!